Escape the urban bustle at Mount Washburn and Grand Prismatic Spring. Spend the 17th (Fri) surrounded by wildlife at Grand Teton. Spend the 21st (Tue) exploring nature at Yellowstone National Park. 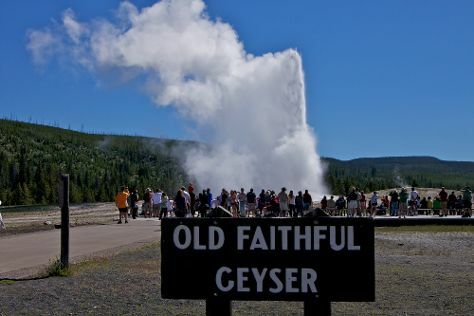 The adventure continues: look for all kinds of wild species at Hayden Valley, witness a stunning natural landmark at Old Faithful, stroll through Trout Lake Trail, and explore the stunning scenery at Grand Canyon of the Yellowstone. To find more things to do, photos, reviews, and tourist information, refer to the Yellowstone National Park holiday planner. In May, plan for daily highs up to 53°F, and evening lows to 27°F. Cap off your sightseeing on the 21st (Tue) early enough to travel back home.